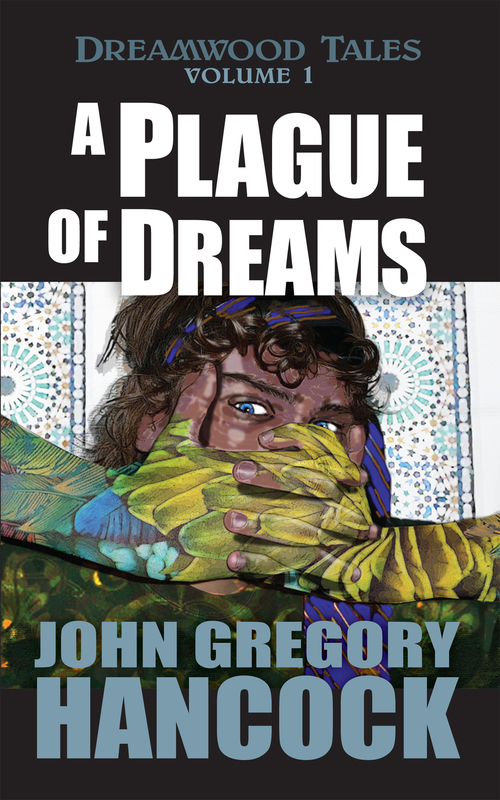 A New Cover for Plague of Dreams! I’ve redesigned the cover a bit because I was noticing at small thumbnail sizes my name was unreadable. It isn’t in effect yet at amazon but should be soon. I’ve also added in blurbs from reviews on the ebook and the cover for the paperback now wraps around the back (it didn’t previously) and on the back is a synopsis and some review blurbs. Also, I fixed some very minor typos — mainly things like punctuation that ended up outside quotes, and that sort of thing. I lowered the price for the paperback to 7.99. Gives me less royalty but it seems a fairer price, in my mind. Why did I do this? I’m working on my next book and in the process found ways to more efficiently format the book and wanted to apply it to the existing book. or else I’m just crazy!